In so many words, the Titanic was absolutely massive. The largest luxury cruise vessel of its time, the ship was designed to be the biggest and highest quality ship available. The Titanic had everything from an indoor pool, to a diner, to three different classes for passengers. Begun in 1909 and complete in 1911, the ship was completed in just over two years. Using the latest technology, the Harland Wolff shipyard of Belfast Ireland created what they thought to be an unsinkable vessel. Measuring 882 feet, 9 inches long and 92 feet wide, the Titanic was built by over 15,000 workers and a great deal of funding was provided by American industrialist J.P. Morgan. From keel completion, the Titanic was the largest passenger vessel of its time and was built extremely quickly. Designed to be the big sister to the Britannic, the Titanic had a similar design to her little sister, but was a step up in size and luxury. Titanic construction lasted just over two years. After setting sail on its maiden voyage from Southampton, England on April 10, 1912, the Titanic made a few stops in France and Ireland before continuing on its course toward New York City. Despite receiving iceberg warnings in the North Atlantic, the ship’s captain Joseph Smith ordered full steam ahead. At approximately 11:40 pm, the Titanic struck an iceberg which buckled the hull and popped out thousands of rivets that were holding the ship together. It took about two hours for the Titanic to sink completely and 1,517 out of 2,223 passengers aboard the ship perished. 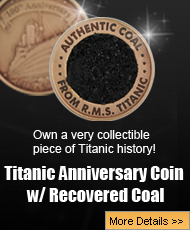 Many theories have been presented over the years and the recovery of many different Titanic artifacts tell the story as to why the ship may have sunk. Some scientists believe that although she was at the height of luxury and size, that the construction was shoddy at times. Large amounts of slag were found in the rivets that held the ship together. Scientists believe that the low quality slag metal made the rivets brittle in the cold water and ultimately led to the sinking of the Titanic. Although her horrific story is what the Titanic is known for, she is also seen as an engineering accomplishment for her size and speed. The Titanic was the fastest cruise liner of her time and the most luxurious. Despite facts that have surfaced nearly 100 years after the Titanic tragedy, it cannot be denied that she was the largest and most luxurious cruise vessel of the 1900′s and a feat of engineering. 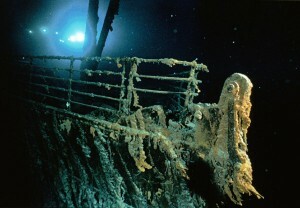 Previous post: When Did the Titanic Sink?